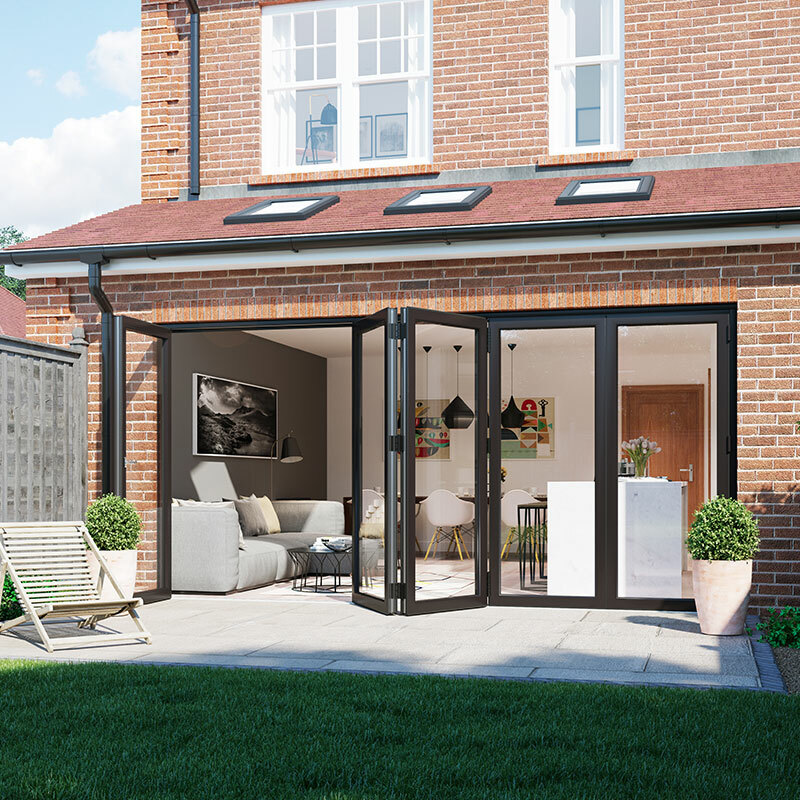 Offering all Bristol homeowners maximum control over style and operation, our range of bifold doors are a highly versatile door option that instantly spoils any home with slim sightlines, effortless operation and lashings of natural light. 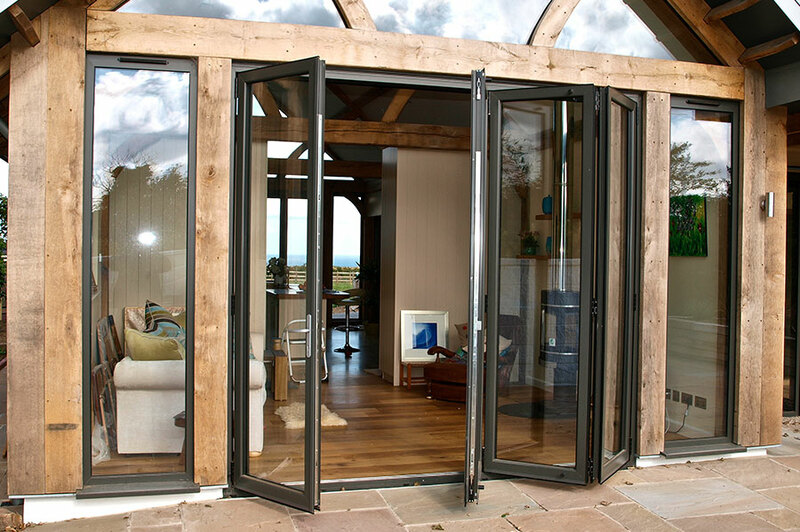 Bifold doors are innovative in the sense that they naturally glide and fold along a smooth track every time, meaning you can enjoy the outside without ever leaving the comfort of the inside. 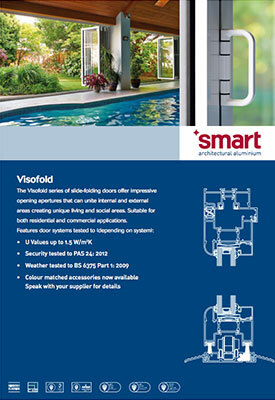 The doors act as a beautifully balanced design, offering the very best form and functionality for every user, making every transition to the outside a seamless experience. 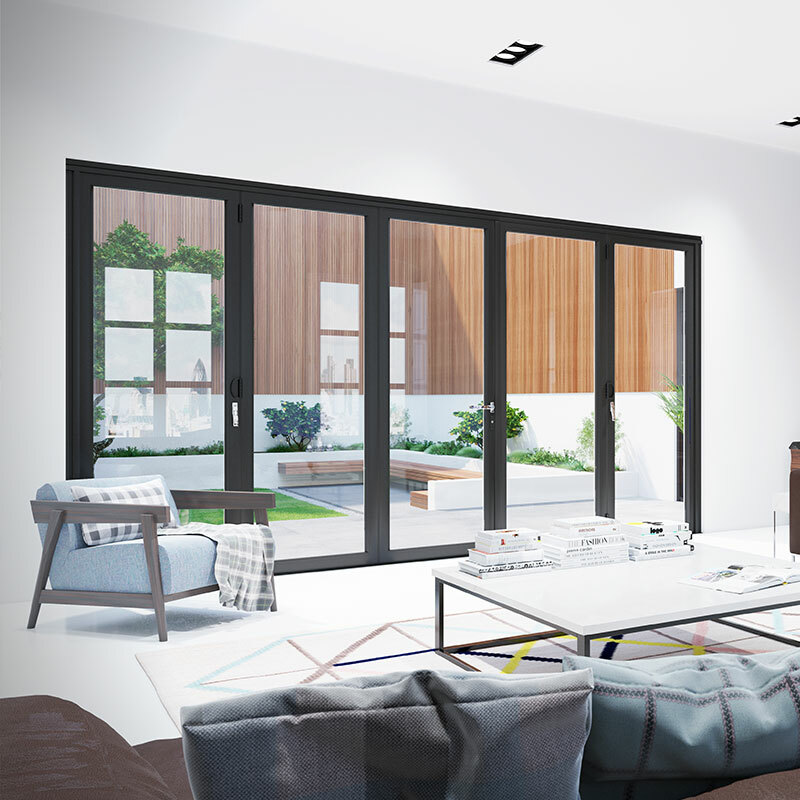 Engineered from market-leading aluminium materials, every bifold door offers impressive outside views whilst looking visually stunning thanks to a sleek finish and a choice of over 150 RAL colours. Bifold doors can be supplied in a range of unique colours that can be specifically tailored to suit either you or your home’s bespoke personality. Each aluminium and PVCu model boasts an impressive choice of over 150 RAL colours, ranging from the elegance of Chartwell Green to the distinct boldness of Anthracite Grey. At Associated Windows, we’ll work with you to ensure your new bifold doors always complement your modern or traditional-style property. A uniquely coloured set of aluminium bifold doors help to successfully transform the outward appearance of your home dramatically, whether you like the idea of vibrant red frames or something a little more traditional such as Light Oak. With so many different shades and tones available, you’ll never have trouble getting your creative juices flowing when opting for a new set of doors. We offer a wide range of decorative and high quality glazing options with our door range: from creative astragal bar patterns and stained glass to bevelled and textured glass designs – not to mention a host of other lead and obscure glass options. 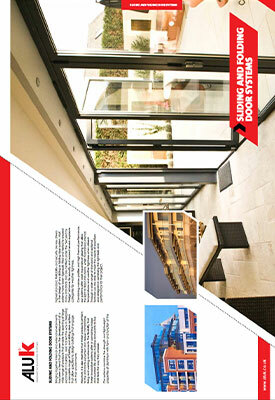 We only use specialised glass for our units to ensure that deliver exceptional efficiency as well as style. Inventive thermal spacer bars can also be integrated to reduce energy consumption if desired, lessening the likelihood of condensation build up and noise pollution so your home suffers no longer. Whether you’d like to add an increased sense of privacy, style, or both, the team at Associated Windows can spoil you with a wide range of innovative glazing options. An easy way of better managing your personal privacy and natural light preferences, our range of integral blinds come neatly set between two glass panes in your unit and operate effortlessly. Offering various benefits both aesthetically and practically, integral blinds ensures that there’s no risk of tangles or dust build-up, being an ideal choice for the style-conscious homeowner. Making use of a truly innovative tilting control functionality, it’s easy to adjust the level of light and privacy present in your home, with each slat responding to your every command. Available in a range of attractive colour options, integral blinds are able to add a touch of personality and style to your window or door. Each bifold door from Associated Windows boasts a wide range of additional hardware that helps introduce a sense of security whilst never corrupting the door’s stunning visual appearance. The design has been rigorously tested against forced entry, so much so that the system has been awarded ‘Secured By Design” accreditation. The doors will ward off any potential intruders that may attempt to break in, allowing homeowners to enjoy complete peace of mind whenever they are relaxing at home. If you’d like to transform your home into one of the most energy efficient on the market, Associated Windows’ range of bifold doors excel at lowering your home’s energy usage. We supply the range with energy efficiency in mind, meaning each bifold door delivers impressive U-values to keep your home warmer for longer, letting you save on financial bills also. 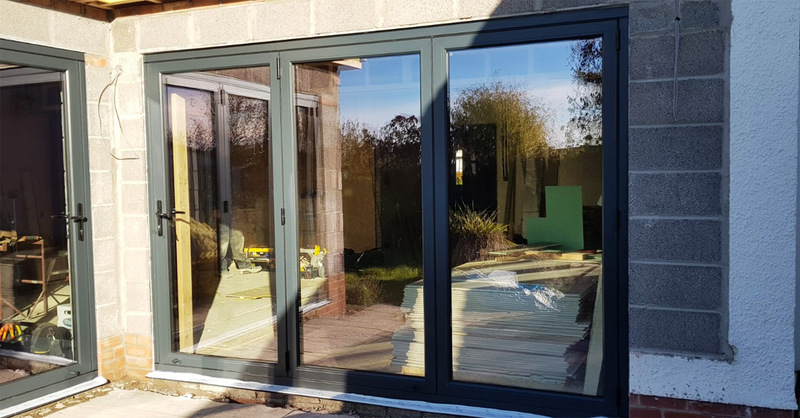 Every bifold door installed by the team at Associated Windows makes use of a multi-chambered design internally, making it easier for your new aluminium bifold door to trap the natural heat generated in the home. Any property will be able to remain warmer in the winter and cooler in the summer. 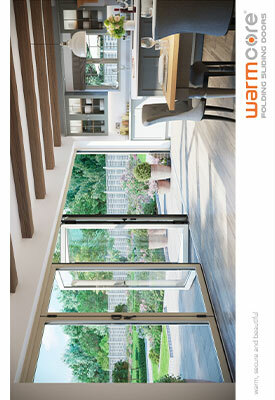 Need more information on how a new set of bifold doors can help you make the most of your home? Feel free to take a look at our downloadable brochure, containing everything you need to know.